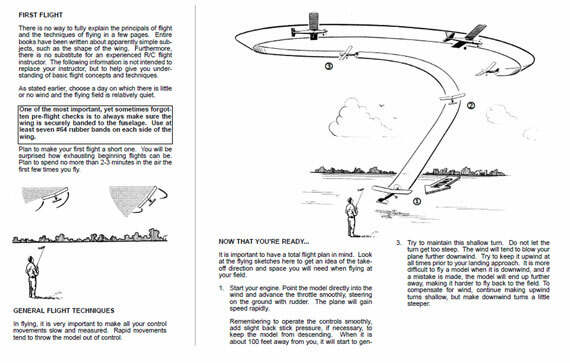 "After the wing has been covered, you must check to make sure it is free of warps. This is a very critical step and should not be rushed or omitted." 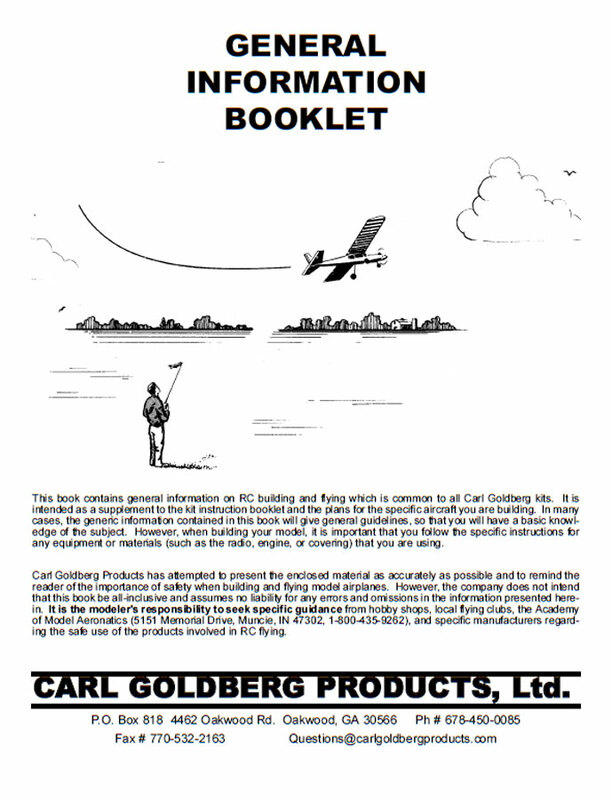 Useful general information booklet that used to be included with most Goldberg kits. Sometimes referred to as "Book 2" in kit instructions eg "That's it. Now go to Book #2 and see how to install and balance your Freedom 20." Straightforward, practical modelling advice, clearly illustrated in black and white.